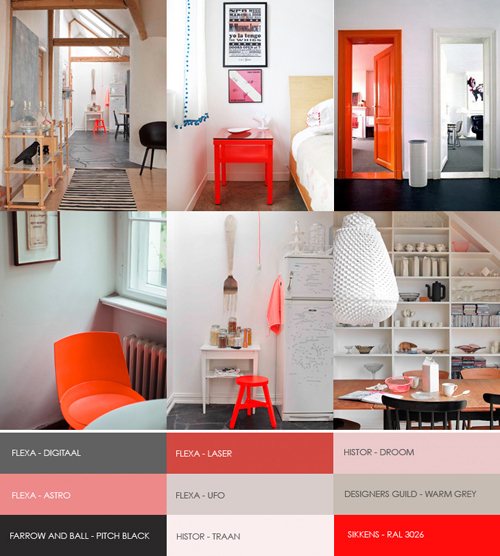 For kleurinspiratie.nl (a website about color trends and paint) I was asked to create a mood board about a color trend. You can see the result here. I choose hot orange as this one of the top colors this season. On kleurinspiratie.nl you can also read an interview with me. The website is in Dutch but of course you can use the Google translator if you would like to read it. Some of the images I used for the color trend are from Silje’s home (shot by photographer Trine Thorsen for ELLE Decoration Norway). 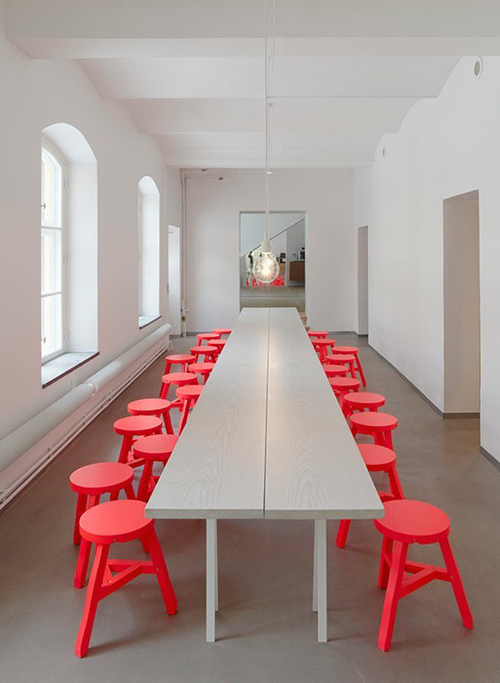 The image above shows the new office of Swedish design consultant agency No Picnic. Hi, Wow love the colors! Have a great day!! Pops of color, isn’t that what it’s all about?? Love. 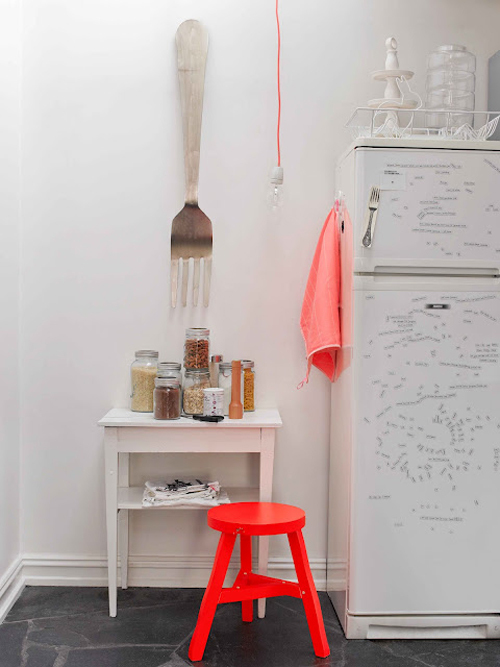 i love that pantone recognized tangerine tango as the color of the year. it’s the perfect extra punch for interiors and fashion. Love your blog, just discovered it and feel in love with your on line store le souk. Gave you a mention today..check it out. Would love your support on my blog…I am a newbie. gotta have that giant fork!